Neuropathy is a condition that occurs when there is damage to the nerves, which has a variety of causes. Symptoms include pain, numbness, and weakness and most people experience this mainly in their hands and feet, although it can also occur elsewhere. Nerves send electrical information through the spinal cord to the brain, which is the central nervous system. When people experience a traumatic injury, have an infection, or have a problem with their metabolic system, faulty genes, illnesses, or toxin exposure, nerves can become damaged. People with diabetes mellitus (type 2 diabetes), for instance, often suffer from neuropathy. Those who have neuropathy will often described the pain as a tingling, burning, or stabbing sensation. Sometimes, the condition that underlies it is treatable, and symptoms improve. 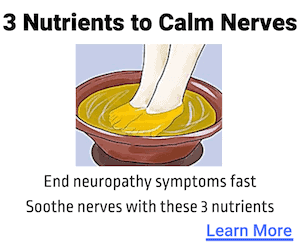 However, neuropathy is not curable. Most people will need to take medication in order to control their symptoms and reduce their level of pain. This guide will explain the different types of medications and their uses and side effects. What Comes With The Least Side Effects? Pressure on or trauma to the nerve, often caused by motor vehicle accidents, sports injuries, and falls. These can lead to the nerves being severed, for instance. Pressure can be caused by using crutches, having a cast, or repetitive strain. Tumors, which include both benign (non-cancerous) and malignant (cancerous) growths, which do not just develop on the nerves but also put pressure on them. There are also certain cancers that specifically cause polyneuropathy because they attack the immune system, which is essentially paraneoplastic syndrome. Vitamin deficiencies, particularly for B complex vitamins, vitamin E, and niacin. Alcoholics, for instance, are often deficient in these. People who are diagnosed with neuropathy must seek medical treatment to address the underlying disorder and cause of their nerve damage. They may also be provided with medication to treat neuropathy, or to at least make the symptoms more manageable. Below is an overview of the different nerve pain medications that may be relevant. Anticonvulsants are designed to stop seizures and hence are usually prescribed to people with epilepsy. Some of these medications calm the nerves, however, which means they also provide relief for the shooting, stabbing, burning pain that people with nerve damage experience. Scientists don’t know yet how anticonvulsants stop the pain associated with nerve damage. However, it seems that damaged nerves send pain signals in an overactive manner, and this transmission is slowed down in cases of neuropathy. In cases of fibromyalgia, the medication seems to calm down nerves that are overly sensitive. 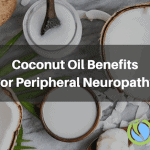 It has also been found that certain anticonvulsants work better for certain forms of neuropathy. For instance, carbamazepine (Tegretol or Carbatrol) is often prescribed for people with trigeminal neuralgia. This is a form or neuropathy that affects the facial nerves in particular, making people feel as if they are experiencing an electric shock. Additionally, scientific research now supports that pregabalin (Lyrica) and gabapentin (Neurontin or Gralise) benefit people whose nerves are damaged. Indeed, pregabalin and gabapentin have been found to be very effective for diabetic neuropathy, postherpetic neuralgia, and spinal cord injury pain. Additionally, pregabalin can benefit people who have nerve damage as a result of fibromyalgia. Anticonvulsant drugs are very popular as a neuropathy treatment of because they are associated with few serious side effects and most people can tolerate them very well. However, they do lead to side effects such as swelling in legs and feet, confusion, dizziness, and drowsiness. If the dosage is low to begin with and then slowly increases, these side effects can be limited. At the same time, the U.S. Food and Drug Administration (FDA) has issued an official warning in relation to anticonvulsant drugs. Specifically, this is due to a statistically significant increase in people having suicidal thoughts and actions. This is why those who are prescribed these drugs must be monitored closely. Anti-seizure drugs are becoming increasingly popular in the treatment of nerve pain, particularly when combined with other drugs, such as antidepressants. With advances in medical science, these drugs now have far fewer side effects, which means people can take them comfortably. This is in stark contrast to older anticonvulsants such as valproic acid (Depakene), phenytoin (Dilantin), oxcarbazepine (Trileptal), and carbamazepine (Tegretol or Carbatrol). Those drugs are associated with side effects such as headaches, drowsiness, loss of coordination, double vision, vomiting, nausea, and liver damage. Those who are prescribed older anticonvulsants usually have to have regular medical checkups to ensure that side effects are manageable and controlled. The side effects have a greater potential to be dangerous. On top of that, scientific evidence that supports using these older anti-seizure drugs for neuropathic pain is virtually non-existent. The result is that it is very rare for physicians to still prescribe anticonvulsants. Chronic pain in many different forms has long been successfully treated by drugs that were never developed for that. For instance, antidepressants were not created to treat chronic pain at all, but this turned out to be a welcome side effect associated with some of them. So much so, in fact, that physicians now consider antidepressants as a go to form of treatment, even in cases where the patient does not suffer from depression at all. Scientists do not quite know yet how antidepressants also work as painkillers. However, some believe that they increase the activity of the spinal cord’s neurotransmitters, thereby lowering pain signals. However, antidepressants don’t always work and, when they do, they don’t work overnight. Indeed, some people do experience mild relief after around a week, but it usually takes far longer for the full effects to become noticeable. And there are people who never experience more than mild pain relief when taking antidepressants. It is for this reason that it is common for physicians to prescribe antidepressants together with other medication, particularly anticonvulsants, when treating neuropathy. In most cases, physicians will try antidepressants first and supplement with anti-seizure medication if it is found to not have enough of an effect on its own. Because neuropathic pain is caused by damage to the nerves, it can be very difficult to properly diagnose and treat. People often present with significant, life limiting pain that they want to find relief from while the physician investigates what is wrong with them. Strong opioid painkillers, including morphine-based drugs, may be offered. However, because these drugs carry a high risk of addiction and abuse, these prescriptions are very controversial. Additionally, it now seems that neuropathic pain does not respond well to opioid drugs at all. In one recent study review, a range of short-term and intermediate-term studies were brought together. These studies lasted anything from a few hours to 12 weeks. In total, the reviewers looked at 31 different studies, in which 1,237 individuals took part, all of whom had neuropathic pain. The studies were generally quite small in terms of sample size. What the review showed was that the results were very mixed in short-term studies. Around 50% stated that there was an improvement noticed with opioid medication, more so than with a placebo. The intermediate-term studies also all showed that opioids had a better impact than placebos. However, this was linked more closely to clinical trials and not necessarily to clinical practice. One of the reasons for this is that none of the studies looked directly at opioids for long term neuropathic pain. Additionally, people noticed a lot of side effects from taking opioids, including drowsiness, dizziness, nausea, and constipation, While none of those were life threatening, many people did feel as if they simply swapped one problem for another one. Opioids sometimes prescribed to people with neuropathy include oxycodone (controlled-release) and tramadol (Ultram). There are lots of different topical remedies available on the market that can be purchased over the counter. However, those that have shown some promising results for neuropathic pain are available on prescription only. A study has recently been conducted by the Johns Hopkins School of Medicine, through which it was demonstrated that topical clonidine, used three times a day for a 12 week period, showed a significant reduction in the pain associated with diabetic neuropathy. Clonidine has grabbed the attention of physicians due to the fact that it can be used for hyperhidrosis and for high blood pressure as well. Uniquely, it affects the central nervous system, which is why it is also so suitable for the treatment of pain. If people have both high blood pressure and nerve pain, therefore, it has been suggested that oral dosages of clonidine could provide an improvement for both conditions. However, the topical administration is also highly effective and perfect for those who do not want to take (more) medication. Lidocaine is another prescription-only topical medication that has been found to benefit people with neuropathy. Lidocaine is usually used by dental professionals as an anesthetic. However, it can also be applied directly to the skin where it hurts. Indeed, in Europe, physicians will prescribe lidocaine plasters to those who suffer from a range of painful syndromes, including peripheral neuropathy and diabetic neuropathy. Usually, they will prescribe the Lidoderm patch, which cannot be used on the feet and hands because of its patch format. 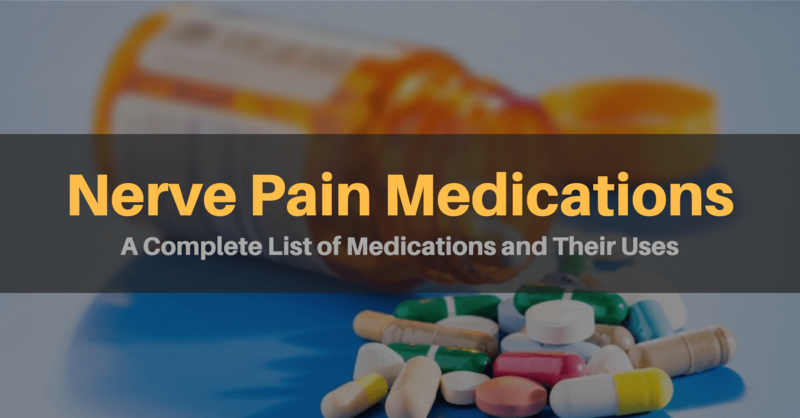 However, some pharmacies can create gels or lotions that contain both lidocaine and clonidine, and they may also add other medication, including amitriptyline or gabapentin, to make it an even more effective topical medication. Millions of people the world over suffer from neuropathy and have to live with constant itching, burning, or stinging sensations. The topical administration of a prescription drug could benefit them tremendously and it is a positive development to see many physicians are now offering this as a solution, and pharmacists are happy to create the solutions. Lidopain (lidocaine patches) and Lidoderm (capsaicin cream) are available in most pharmacies. The drugs above are all prescription drugs, which means they carry certain risks with them as well, including the risk of having side effects. It is very common for people to only consider these as a last resort, opting for over the counter (OTC) remedies instead. If you would prefer to try OTC first, there are several options available to you. There are lots of OTC ointments and creams that can help to provide pain relief. Some of those include ingredients that act as an anesthetic, meaning that pain in the area on which it is applied is numbed. Others have capsaicin included in them, which comes from chili peppers. Most OTC topical solutions have a range of botanical ingredients included in them. Topical solutions are great, because they can be applied exactly where needed. There are numerous OTC painkiller drugs out there with various success rates. People commonly attempt to reduce their levels of discomfort using ibuprofen, aspirin, or acetaminophen first. These drugs tend to work if the pain is occasional and no more than mild. Unfortunately, they make very little difference to nerve pain. Additionally, even OTC painkillers have the potential to be addictive, which must be avoided at all costs. If you want to try OTC painkiller, therefore, make sure that you follow the appropriate recommendations as described on the packaging. OTC painkillers should not be taken for more than 10 days in a row so if you still feel like you need them afterwards, you may need to speak to a physician. Because nerve damage is often caused by or worsened by vitamin deficiencies, taking supplements and vitamins can be highly beneficial. Vitamin B12 deficiency, for instance, can cause neuropathy. Supplementing with B complex vitamins, therefore, can make a big difference. Other supplements are also very interesting, and some scientific research are showing that there are promising results on the effectiveness of supplements, such as magnesium, gamma linolenic acid, alpha-lipoic acid, and acetyl-l-carnitine. Further research must be conducted into exactly how these supplements work, but preliminary results are proving to be very interesting. The best treatment for numbness often depends entirely on the cause of the neuropathy. In many cases, it is caused by diabetes, which means it is vital that people learn how to control their blood sugar level. OTC drugs are usually the first port of call for many people but they swiftly move on to stronger, prescription medications instead. Like with numbness, the best treatment for leg pain varies depending on what has caused it. Diabetes can be a cause, meaning blood glucose levels must be controlled. Vitamin deficiency is also a common cause for leg pain in neuropathy, which may mean supplementing and addressing any underlying alcohol problem. Alcoholics in particular are at an increased risk of developing neuropathy as a result, after all. Those who want to find the best treatments with the least side effects should consider using supplements. However, they should be aware of the fact that there are limits to how much supplements you can take as well.